In the United States of America, the cell phone has been described as the virtual biographer of our daily activities. A recent article in the New York Times makes some interesting observations on the wider use of cell trafficking which raises legal constitutional questions especially when it is used without judicial orders. The use of cell phone technology for tracking down persons is something that even India has been using to fight crime. While it has been effective in some cases there are questions galore regarding the privacy issue surrounding this. Police officials swear that the best way to prevent a crime in the nature of terrorism is with the use of technology. It is essential to know about the location of terrorists and the best way to gather this information is through the tracking of a mobile phone which is used many times during the run up to a strike. India has opened its eye and seeks to introduce the use of technology when it comes to fighting crime. The Department of Telecommunication in its new telecom policy has given a lot of importance to mobile surveillance. However what appears to be missing are the guidelines where e-surveillance is concerned. While the policy permits monitoring of cell phone locations in India, the danger as pointed out by some experts is that it should become like phone tapping which have often been used for purposes other than what it is intended for. Protecting the sovereignty and integrity is paramount and post 26/11 one got to see how easily the terrorists managed to fool our establishment by using technology. However the fear of permitting cell phone tracking is like a two edged sword. On one hand it helps with the investigation while on the other it could well be misused like what happened with phone tapping. Going by the various laws, the amendments and the policies, it becomes clear that mobile phone tracking has a direct impact on the privacy of individuals. The problem is that India does not have a dedicated law on privacy. The interpretation by the Supreme Court of India on privacy is with regard to the fundamental right to life. Cell phone monitoring is ultimately monitoring over the computer network. As per the Information Technology amendment powers to intercept, decrypt and monitor cell phones has been given to the central and state governments. This according to IT law expert Pavan Duggal has huge loop holes because the checks and balances are not in place. There are rules but they are just not adequate and we need far more accountability and transparency when we speak of cell phone monitoring. Sources in the security establishment say that logically one needs to monitor a person who is a suspect. It is essential that one has to act quick and through cell phone monitoring we could keep a tab on the persons location. If there is too much red tape then the very issue is defeated. The counter argument to this is that monitoring ought not to be done to fish out information from the conversations of law abiding citizens as it invades into privacy. The same mistake which was made in the phone tapping issue ought not to happen here. In the PUCL vs Union of India case, the Supreme Court had laid down some strict guidelines when it came to phone tapping. However that was in the context of the telegraph act and hence the same law cannot be applied to cell phones as it is on the digital platform. There was a legislation which mandated that any act of monitoring ought to be approved by a competent authority. This meant that the home secretary had take the case before the controller and get the action approved. However post 26/11 the government of India thought that there was a need to buck up the process. Also it was felt that the controller had too much power and the decision entirely was with him. Then came the amendment to the IT Act. The government notified the IT Rules (procedures and safeguards for interception, monitoring and decryption of information) in 2009. As per this the government did not need to go before the controller and it was the secretary to the ministry of home affairs who held all the powers. This in fact makes it more dangerous and the entire decision lies with one person. This also provided an element of partiality, Â Pavan Duggal points out. We need an interpretation of this by the judiciary. Ultimately when we speak of convergence of information-audio, video, image or text wee need more clarity of these norms, he also adds. However the point is that we cannot live without cell phone tracking when terrorism is such a big menace. There are advantages as cell site data can provide the required intelligence to our agencies which are handling terror related cases. But the real goal will be attained only once the guidelines are in place and the decision to track data becomes more of a collective decision rather than an individual one. 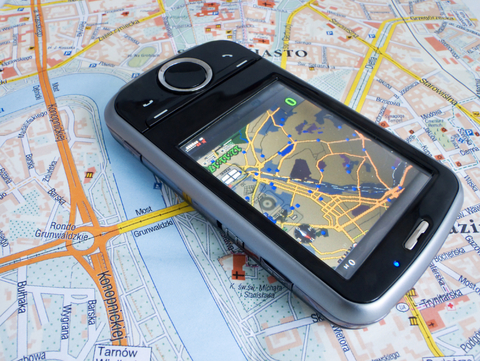 Cell phone tracking is for location the current position of stationary or moving, mobile phones. Tracking may occur either through multilateration of radio signals between radio towers of the network and the phone, or simply via GPS. The process does not require an active call…….. here i introduce a new smart phone tracking site which gives us a lot of information…………….